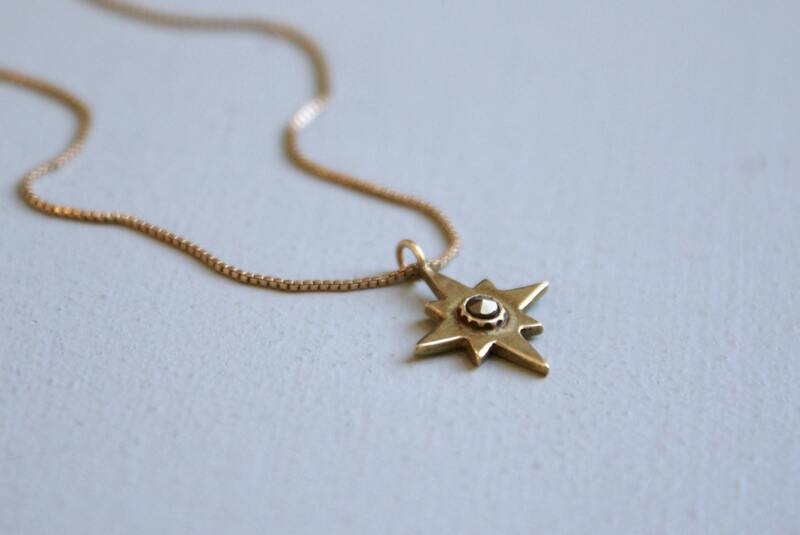 This sweet necklace was originally a customer's idea-- she requested a delicate necklace inspired by the North Star. I loved it so much I made another for myself, and I wear it literally every day! I rarely take it off, usually layering it with other longer necklaces and little studs or my favorite Crescent Dagger earrings. 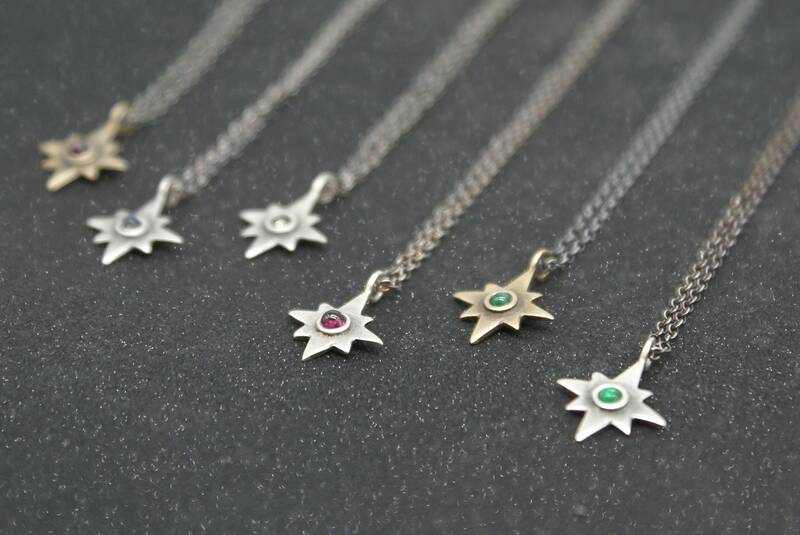 The star comes in brassy bronze or sterling silver, with your choice faceted marcasite (the original), flashy rainbow moonstone, deep red garnet, or green emerald at the center. The pendant measures about 1/2" across and hangs from a fine 17" brass box chain (for the brass option) and sterling silver rolo chain (for the silver) with hand-formed hook clasp. Use the drop-down menus to customize your own!